The Sound Devices XL-TA5XF2 comprises two 24" cables, each sporting a TA5F connection at one end and two XLR-F connections at the other. 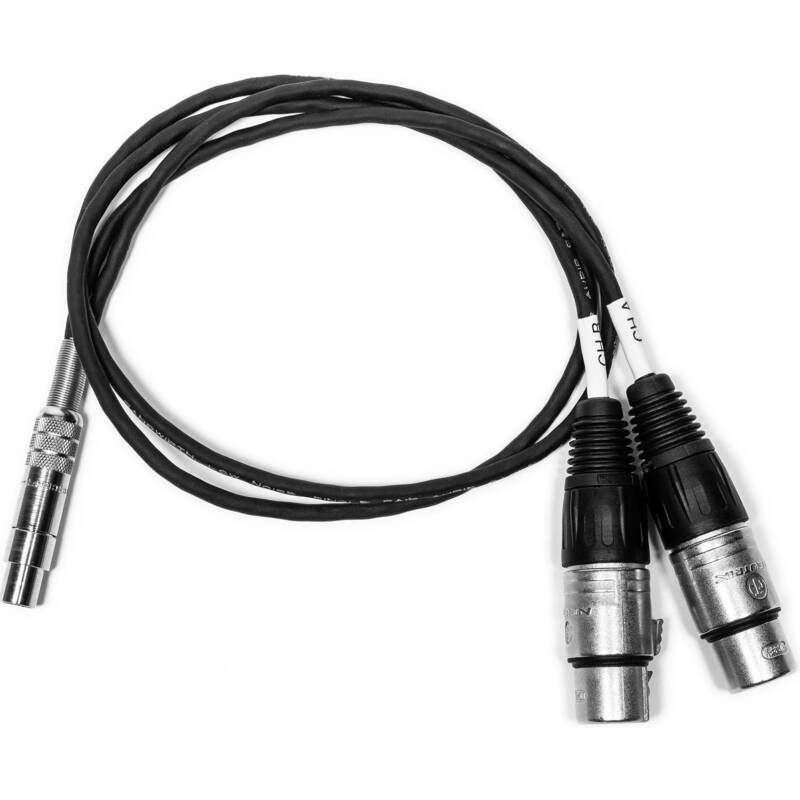 This allows you to plug the two XLR outputs from a stereo source into the stereo TA5 input of the Scorpio Mixer-Recorder. Two cables are included.